The popular Premium bag is back for 2018, with four stunning colour options available: Black/Gunmetal/Yellow, Gunmetal/Black/Silver, Black/Gunmetal/Red, Black/Gunmetal/Blue. Feature-packed, the Premium model is constructed from lightweight vinyl and PU materials, whilst 14 full-length dividers, give each club its rightful place and prevent any snagging whilst trying to retrieve or replace your club. 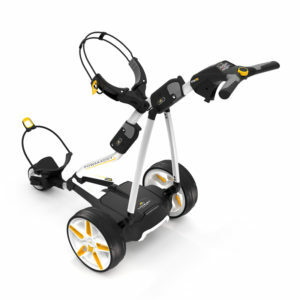 An external putter bay ensures that your putter is always close at hand. 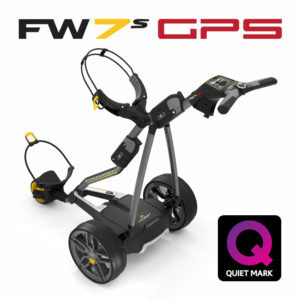 7 spacious storage pockets for all your golf equipment add further functionality, as does the PowaKaddy Lift Handle.